It was my birthday on the weekend and I couldn't think of a better way to spend it than at my favourite place in New Zealand: Hobbiton! This was my second visit to the famous movie set, the first time being over five years ago, and I tell you - it was just as magical as the first time around! 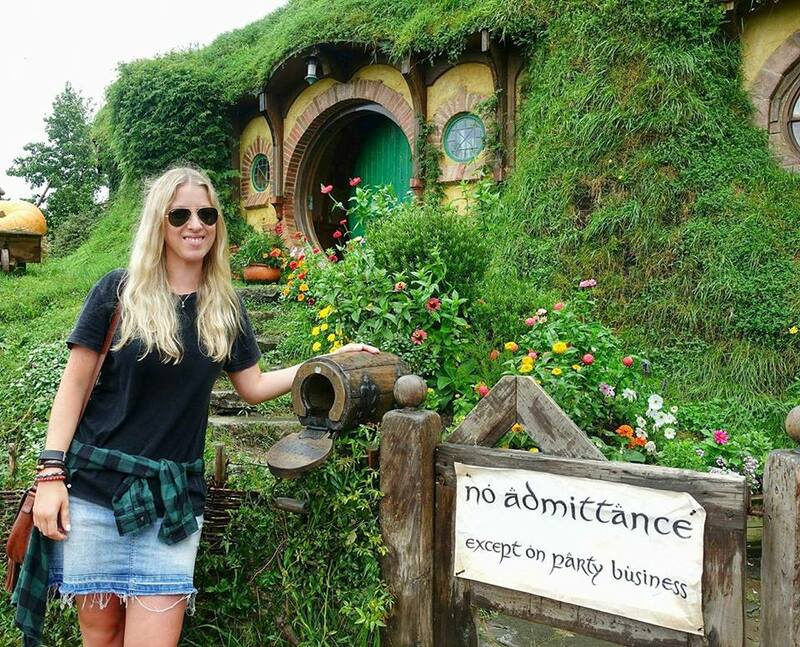 I know Hobbiton is on many people's Bucket Lists when visiting New Zealand (as it rightly should be!) 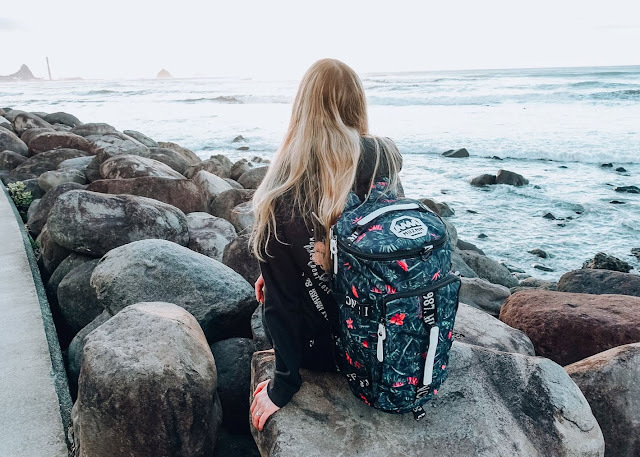 so here is a quick guide of what to expect and everything you need to know when visiting, accompanied by some wanderlust-inspiring photos of the set. 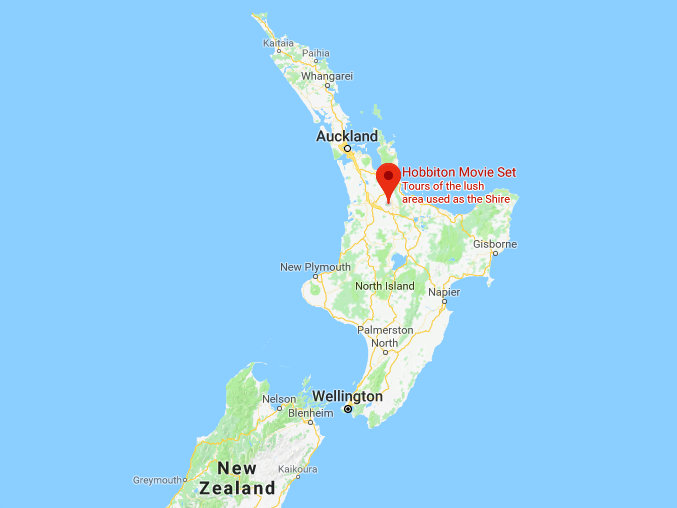 As you will find out on the tour, the Hobbiton Movie Set was first created for the Lord of the Rings trilogy way back when filming first started in 1999. Back then it was only temporary and created out of flimsy materials such as polystyrene. It was mostly all torn down afterwards and only the shells of the hobbit holes remained. Fast forward ten years and Peter Jackson was back to film The Hobbit movies and decided this time around to rebuild the set out of permanent materials so that fans could continue enjoying the magic of The Shire long after the films were released. On the tour, you will be told exclusive facts and fun stories, such as filming tricks, on-set accidents (like when Bilbo’s 111th birthday cake caught on fire), and how 200,000 fake leaves were imported and hand-sewn onto the giant oak tree sitting atop Bag End. You will be shown by your expert guide around the 12-acre set; past the many Hobbit holes - all uniquely hobbit-themed with their own immaculate gardens, stopping at each one for the countless great photo opportunities, past the Party Tree, the Mill and into the world-famous Green Dragon Inn, where you can sample a complimentary and specially brewed beverage to conclude your own Middle Earth adventure. There are different options of tours on offer, including private tours, tours in Chinese, tours with a meal included and evening banquet tours. For the standard Hobbiton Movie Set Tour, they run for approximately two hours and costs $79 NZD ($58 USD) per person. Hobbiton is located in a small rural area called Matamata, which is in the Waikato region in the North Island of New Zealand. It is located only a two-hour drive from Auckland (the largest city in New Zealand or a one hour drive from Rotorua (a tourism hot-spot). Daily bus tours and transfers are available from Auckland, Hamilton, Tauranga and Rotorua. Check their site here for more info. 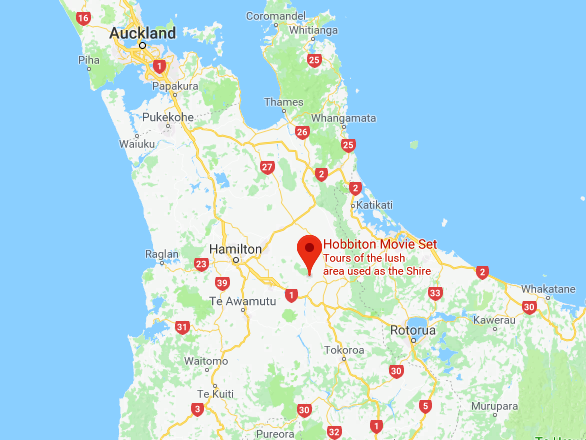 To get there from Matamata you have two options of where to be picked up for your tour - from the Matamata I-Site (information centre) in the town, or from the Shire's Rest - about a twenty-minute drive into the countryside and very close to the set. Both sites have free parking and it is the same price to be picked up from either place. I personally prefer to be picked up from the I-Site, as you are the first to be on the comfortable coach and you can sit back and relax while listening to the bus driver's commentary, and then watch the exclusive videos played on board with greetings by Peter Jackson himself. You learn all about the history of the set and how it came to still be there today. The bus stops at the Shire's Rest and picks up more passengers along the way for the tour. Tours depart daily from 9 am - 3 pm, rain or shine. (If it does rain - like it did for most of my recent visit, large umbrellas are provided for you to use). 5 pm & 5.30 pm operate 27 Dec to 28 Feb.
All ages are welcome from every corner of the globe! I honestly believe every visitor to New Zealand would enjoy this tour. My partner is not a fan of the books or movies at all and was surprised at how much he enjoyed it. He even willingly offered to come with me the second time! Hobbiton is one of those places that doesn't seem real. It has been painted straight from a fantasy book and come to life before your very eyes. The surroundings are absolutely mesmerising; multiple shades of rolling green hills as far as the eye can see, walking around amongst the Hobbit holes where the same actors once stood, where the movies were created, it is so well done and purely enchanting to be amongst it. I am one of the biggest Lord of the Rings fans you will ever meet and it still blows me away that this is here in my country, and actually only a 40-minute drive from where I grew up. I'm so very proud to be a Kiwi and I highly recommend visiting even if you aren't a fan - the location and scenery are astounding. ፨ Try to stick to the front of your tour group to be able to hear all of the fascinating facts and stories and be first in to get that shot! ፨ If you're feeling peckish at The Green Dragon you won't be disappointed by ordering something off the menu - I had the Pork Pie and it was delicious! ፨ Wear sensible walking shoes as you do go for a decent walk up and down hills. 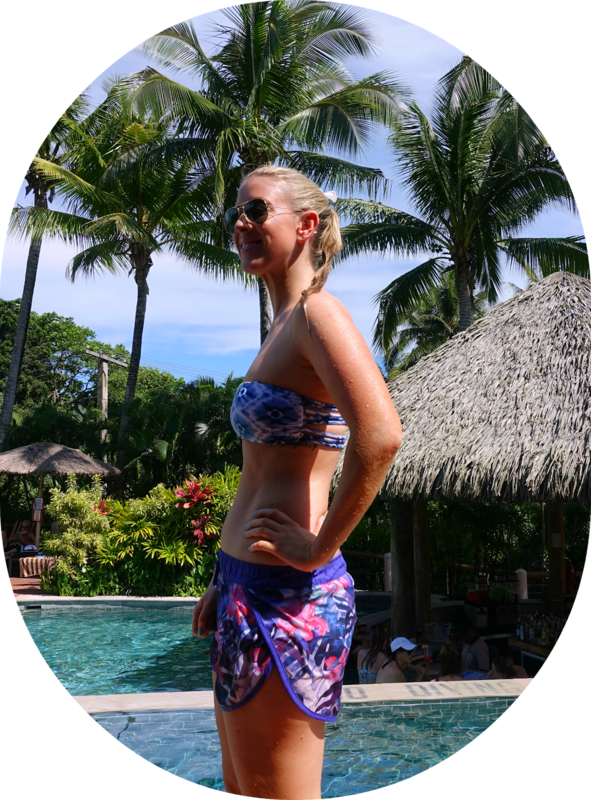 ፨ On a similar note - wear sunblock if you go during the warmer months - I still remember getting burnt the first time I went! (New Zealand sun is harsh). ፨ You get 15 whole minutes allocated at the end of your tour to spend in the Hobbit Store - bring some extra pennies if you wish to take home some exclusive memorabilia. (I couldn't resist buying my own "No admittance except on party business" sign and a special The Green Dragon mug. 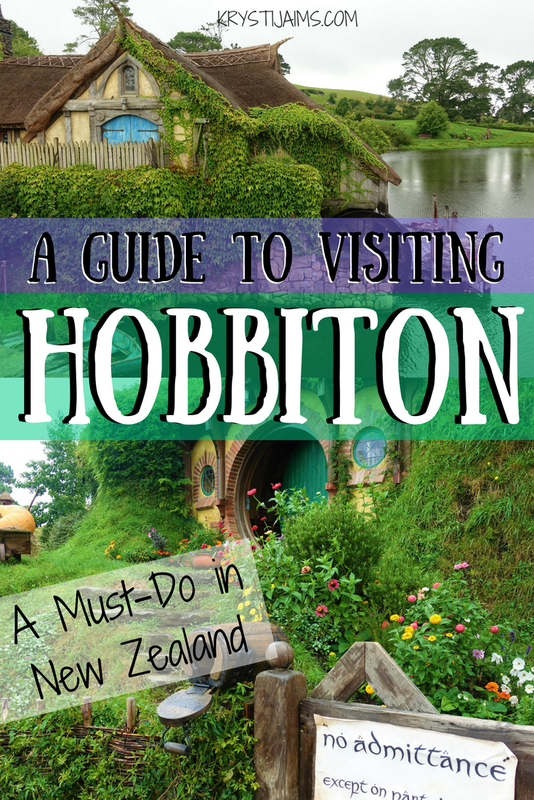 That is my little guide to visiting Hobbiton in New Zealand aka Middle Earth! 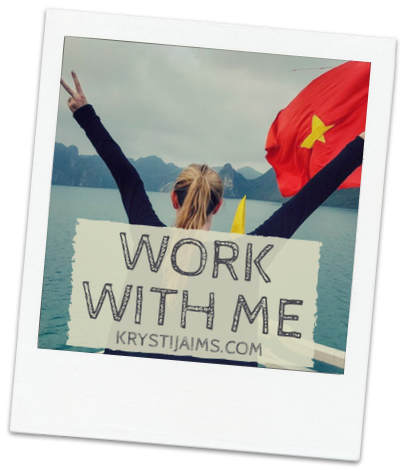 Let me know if you have any questions below and if it's on your Bucket List! Keep scrolling to see more photos below and a little video I made. Oooh this looks so fun! I would visit here if I was nearby. 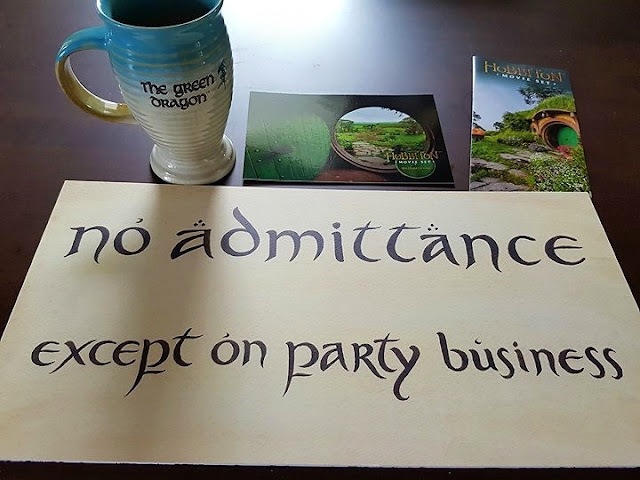 A hobbit theme is nothing but fun! 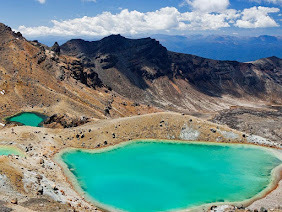 It's a good thing New Zealand is on my bucketlist. Both Hobbiton and New Zealand in general are on our list of must-see places! My boys are too young for that long of a flight yet, but we want to go when they are a bit older. 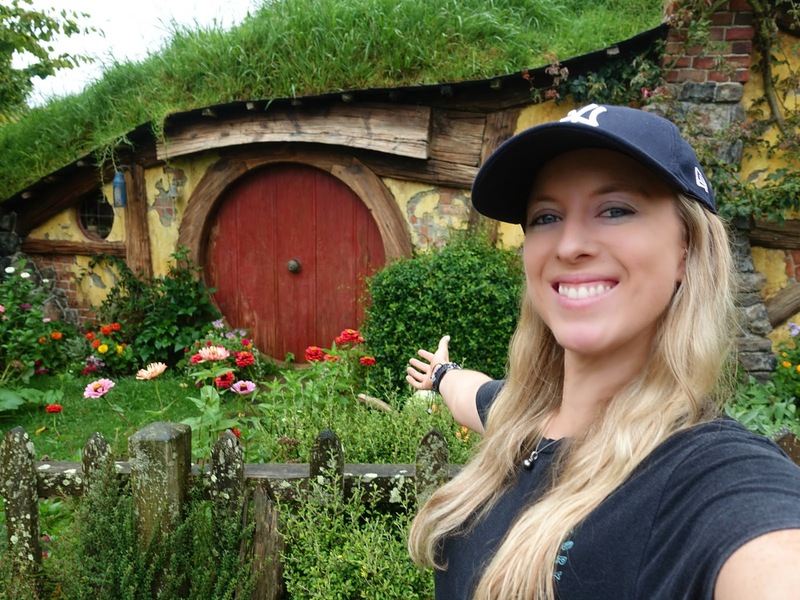 I have some friends who just spent two weeks in NZ and did the Hobbiton tour and said it was amazing! I totally want to go here, it's on my bucket list for sure! It looks like so much fun! 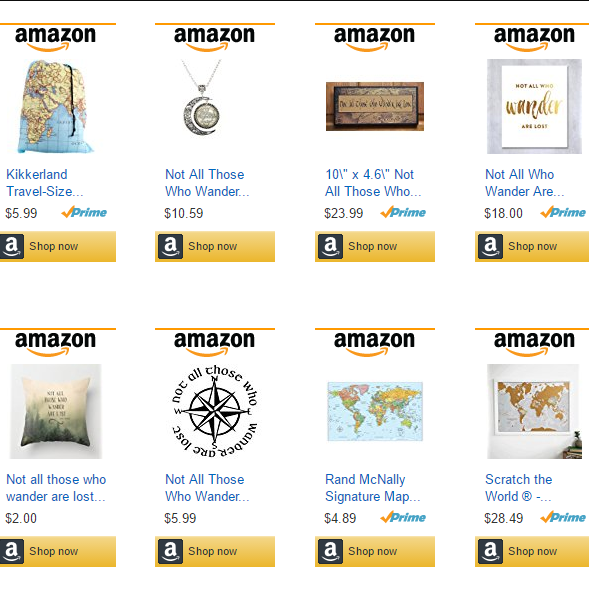 This is one place that I would love to check out! It has been on my bucket list for a while now! Thanks for sharing these great pictures! Omg this just made me want to go back to New Zealand so bad. My husband and I went for our honeymoon and it was absolutely spectacular! This sounds super fun! 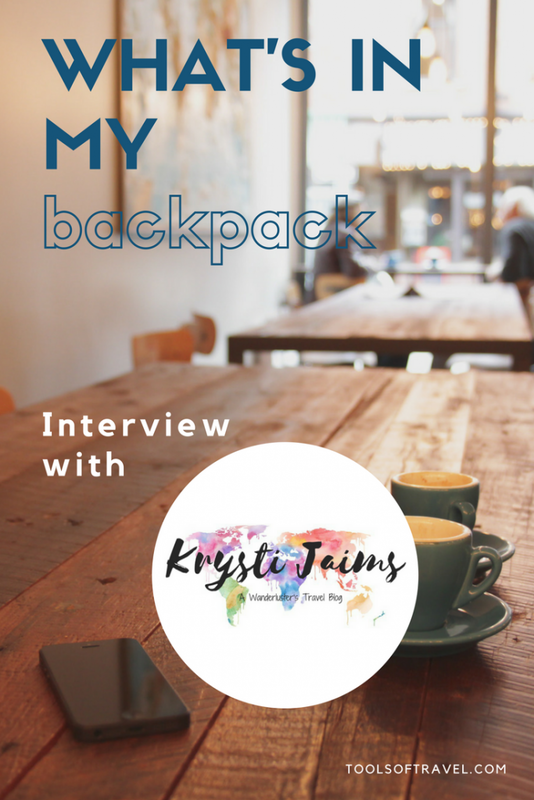 It's been on my bucket list so glad to hear you liked it! The place looks so beautiful and green. Loved all the pictures. Definitely going to visit it when Im in NZ. This is something I want to do SOOOO bad. Love the pictures and I'm super jealous!! Such a gorgeous shot. This looks like a really great place to visit. How fascinating! I loved watching the Lord of The Rings. 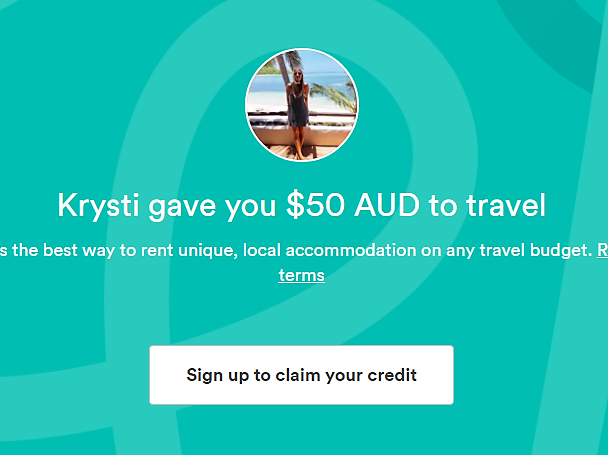 I will definitely visit when/if I ever go to New Zealand!